Born and raised in Beijing, China, Xu Fangfang graduated in piano performance from Beijing’s Preparatory Music High School affiliated to the Central Conservatory of Music. She moved to the U.S. in 1981 and earned a B.A. in history from the University of California, Berkeley, and an M.B.A. from Stanford University. In 2000, she became the founding director of the music department at Renmin University of China. 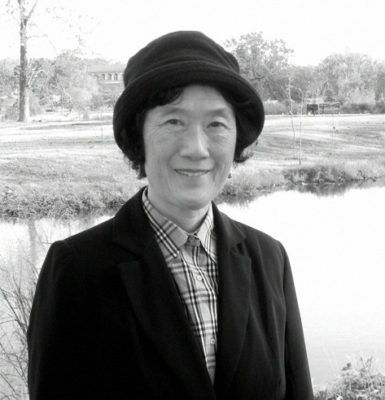 She helped initiate and facilitate the first comprehensive solo U.S. exhibition of her father Xu Beihong’s work, presented by the Denver Art Museum, Oct. 2011-Jan. 2012. She has published several articles on Xu Beihong and his art, including “Xu Beihong, Pioneer of Modern Chinese Painting” in Arts of Asia 42, no. 1 (2012), and “Xu Beihong’s Life and Art,” in Xu Beihong: Pioneer of Modern Chinese Painting, Denver Art Museum, 2011. Famous for his ink brush paintings of galloping horses, pioneering Chinese artist Xu Beihong (1895-1953) integrated Chinese and Western painting and mentored generations of Chinese artists. 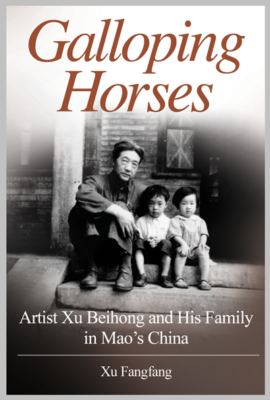 Galloping Horses describes how his family and legacy survived the turbulence of Mao’s ever-changing policies, which dictated the direction of art and music from 1949 through the devastating ten-year Cultural Revolution.